Claude Monet was one of the founders of the movement that came to be known as "Impressionism." The name was invented by a critic after viewing Monet's painting, Impression, Sunrise. Our painting of the week is The Rouen Cathedral: the Portal in the Sun. Monet was interested in how light affected the colors of objects and how colors appeared when placed side-by-side. He completed many series in order to study the colors of light throughout a day. 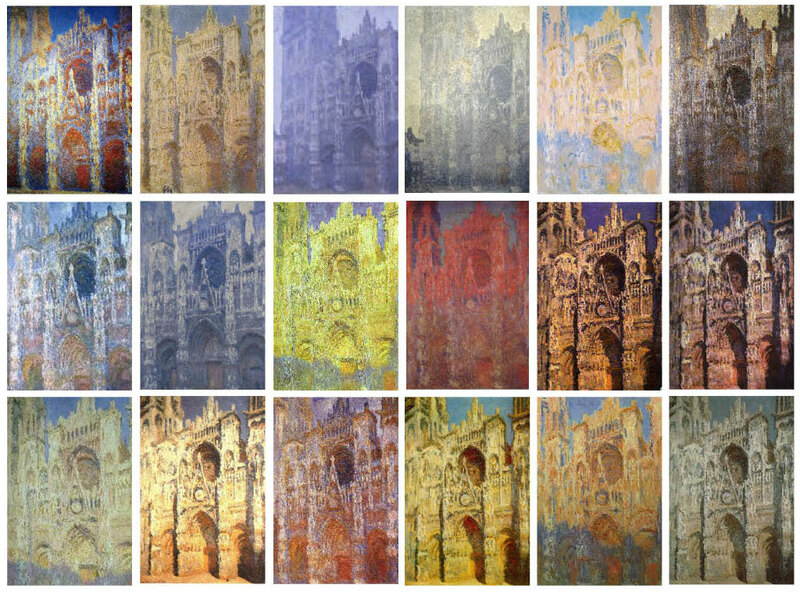 One series was of the Rouen Cathedral in the 1890’s. The paintings each capture the façade of the cathedral at different times of the day and year, and reflect changes in its appearance under different lighting conditions. He rented a place across the street from the cathedral so he could view it at different times throughout the day and year. Monet painted more than 30 paintings of the cathedral. Color is an element of art that adds interest, emotion, and pleasure to a work of art. Color in art can show actual colors of objects, express emotion, create an atmosphere, or give a feeling of temperature. There are three primary colors, and all other colors can actually be created from these three. Primary means "first". Primary colors are bright and bold. The three colors are red, blue, and yellow. 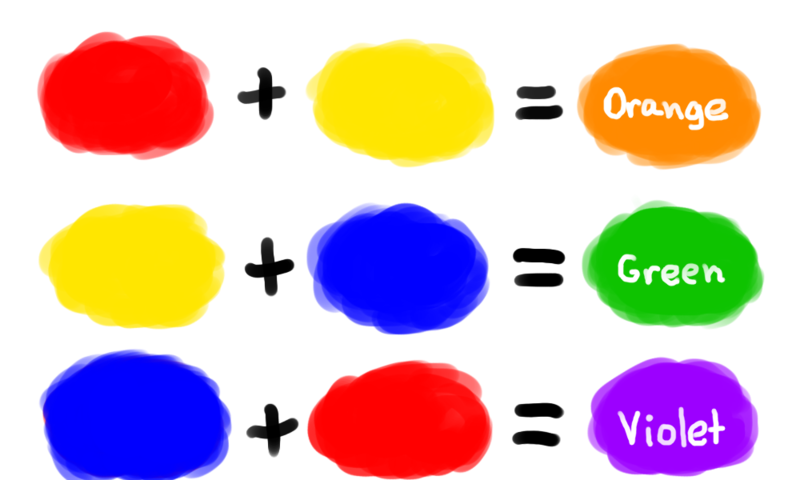 Secondary colors are produced by mixing two primary colors. Secondary colors are not as bright as primary colors because they are a mixture. Mixing red and yellow creates orange. Blue and yellow make green. Red and blue result in violet. All three primary colors mixed together create black. A color wheel shows how these primary colors combine to produce the secondary colors. Complementary colors are the ones across from each other on a color wheel. They are: red/green, blue/orange, and yellow/purple. When complementary colors are placed next to each other, they seem to vibrate and pop out at the viewer. This painting by Monet uses the complementary colors of orange and blue. 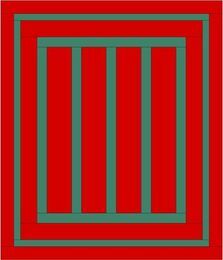 The painting by Matisse uses red and green, which are complementary colors. Colors can affect our moods and feelings. 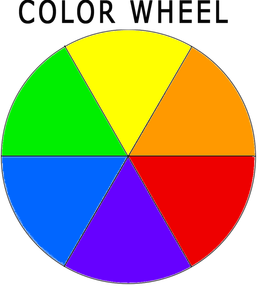 The color wheel can be split into two groups of colors: warm and cool. The warm colors are red, orange, and yellow. Warm colors are bright and vivid and feel energetic. The cool colors are green, blue, and purple. Cool colors are calm and soothing. In art, warm colors are often used make something stand out and draw attention, while cooler colors can be used as a background. This painting by Monet, Morning on the Seine, Near Giverney has cool colors. The cool colors make the scene feel peaceful and calm. The painting by Munch called The Scream uses warm oranges and yellow for the sky, helping to create a restless, excited mood. ﻿Hue is another word for the name of a color. Blue is a hue and green is a hue. Blue-green is a hue that has equal parts blue and green mixed in it. Red-orange is a hue that is mixed from red and orange. 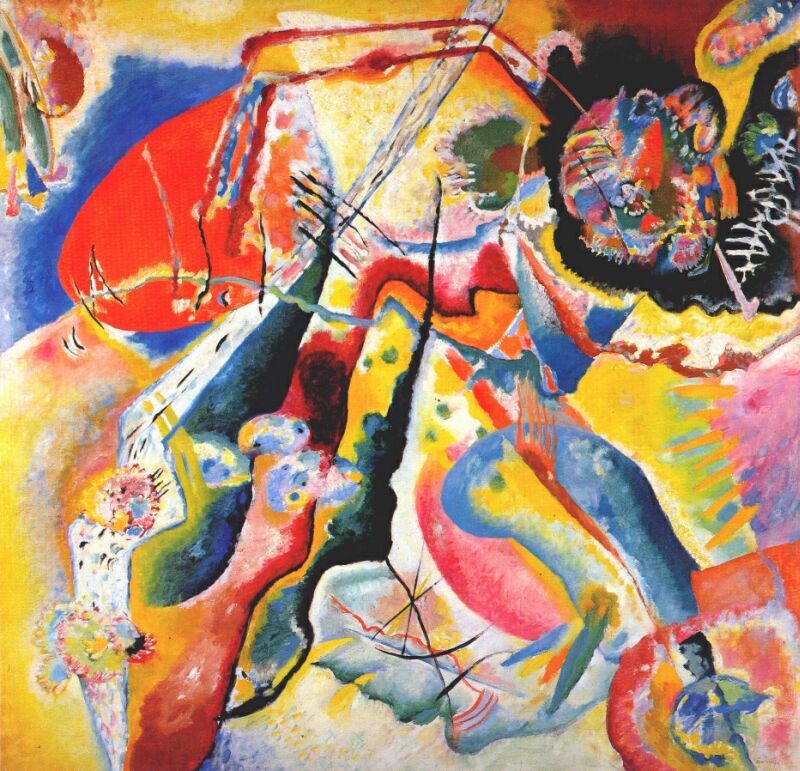 For nearly all artists, color is an important element in their paintings. 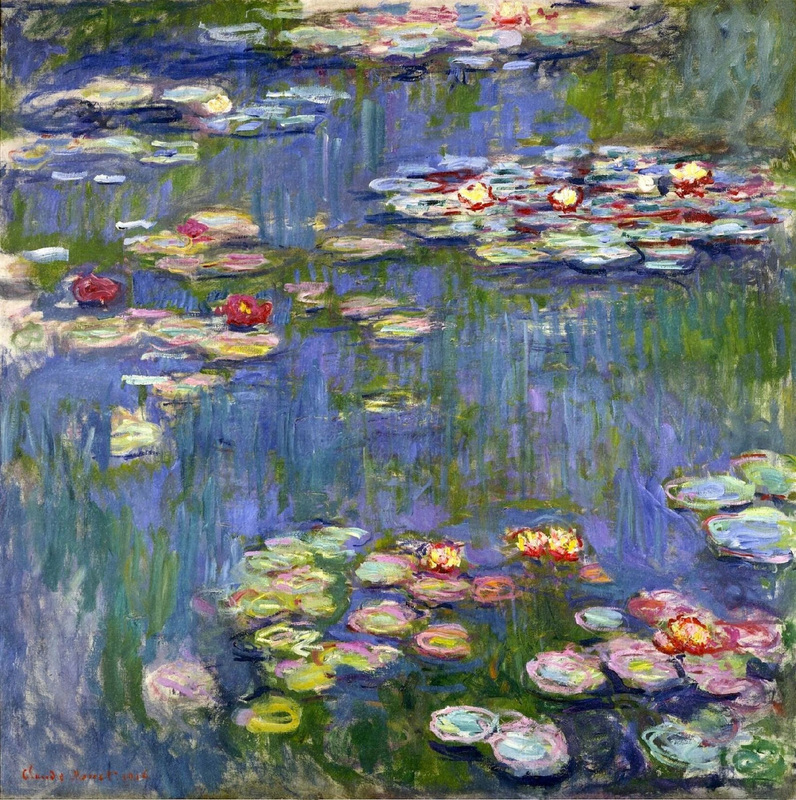 There are many famous artists besides Monet who are known for their use of color. Some of these are: Matisse, Van Gogh, Kandinsky, and Mark Rothko. Color is an element of art that really brings life to Monet's paintings . Artsconnected.org,. N. p., 2015. Web. 22 Sept. 2015. Nga.gov,. 'Color'. N. p., 2015. Web. 22 Sept. 2015.